saving money – The pursuit of authenticity. I’ve been living without cable for more than two years now. Have I missed it? Not in the least. Sure, I still have my favourite shows and when there’s breaking news, I can tune in right away. Sometimes I have to wait a few hours to watch the most recent shows. But in most cases, I’d rather wait a few months to catch up on Grey’s Anatomy on Netflix without having to sit through any commercials. It’s hardly a sacrifice. The most recent numbers, from 2015, show the average American was spending just under $100 each month on cable, up 39% since 2010. 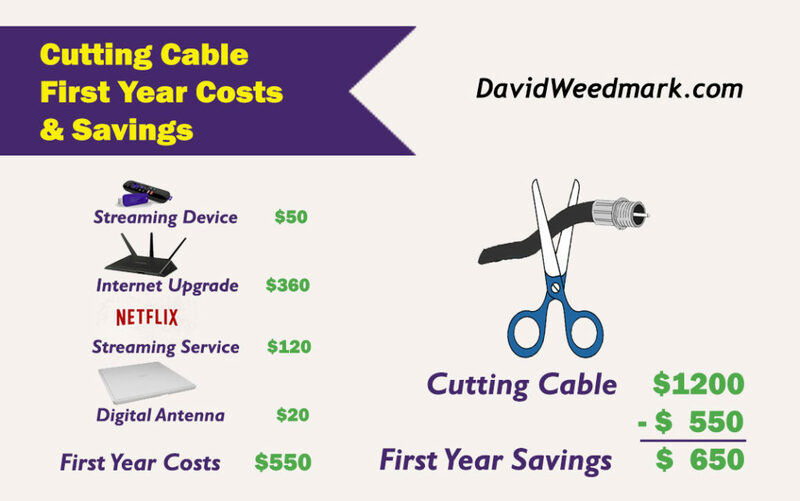 The cost of cable has regularly outpaced inflation by more than twice as much since 1995. In Canada, the numbers are about the same, give or take a few percentage points. Add a few specialty channels and your bill can easily exceed $2400 per year. Those rabbit ears your parents or grandparents used to have sitting on top of their square TVs have been gone for a few years now. 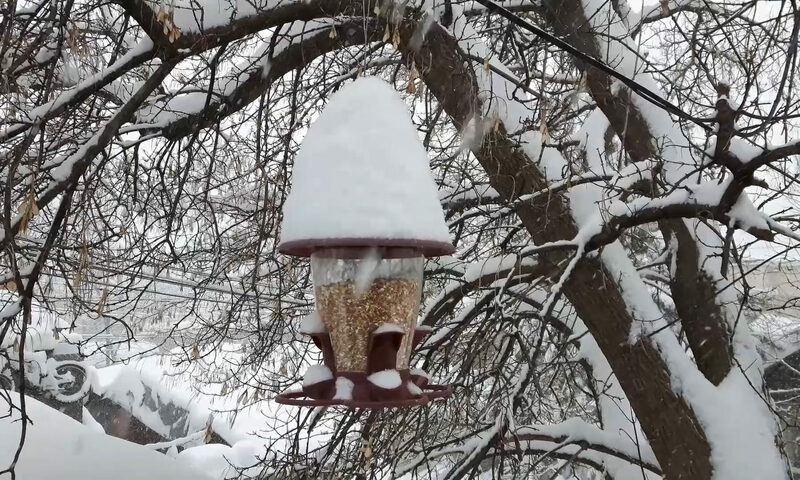 Today’s antennas are 100% digital and high-definition, just like your cable or satellite. The price of a digital antenna is about $20 and there’s no monthly cost, because the signals are free. In fact, these are the same signals the cable companies get and then charge you for. The only catch is that your TV needs a digital receiver, but as long as your TV isn’t more than ten years old, it has one already – by law. If you don’t know what local stations may be available to you, just enter your address or ZIP code in this FTC map showing all over-the-air TV signals. It will tell you the signal strength for each channel and even which direction you should point your antenna. For Canadians, the CRTC doesn’t have such a user-friendly service, however a developer in Ottawa has created his own here. The map may not always work, but it provides a good list of local stations and where to point your antenna. Personally, I only get five channels, but I live in an apartment with a tin roof and there’s a furnace between my TV and the majority of signals. If I bought a different antenna or just moved the TV to the other side of the room, I’d probably get twice as many if I cared to do so. Netflix provides more movies and TV shows than you could possibly watch for just $10 a month. This isn’t a bad deal at all. Americans have a lot of other services to choose from, including HuluPlus, HBONow and Amazon Prime. In Canada, there’s CraveTV, which I tried for a month and after finishing Battlestar Gallactica and a couple of other shows, I cancelled because there just wasn’t anything I was interested in. The best feature of these services is the absence of commercials. The average US drama is 43 minutes long without the commercials. So for an hour-long show, you are spending 28% of your time watching commercials or fast-forwarding through them. Think about that for a minute. If you watch just one show a day, that’s two hours of your week spent watching commercials. If you watch a lot of sports, cutting cable can get tricky because of the blackout rules. Last summer, I paid for a whole season of MLB and watched just about every Red Sox game for $80, which was a bargain if you calculate the cost per game. However, if I want to watch the second half of the NHL season, that would cost me $127, and I’d be blacked out of every home game for the two closest teams until the playoffs start. If you are using Internet streaming services, you better have a good Internet service, ideally with unlimited monthly bandwidth. 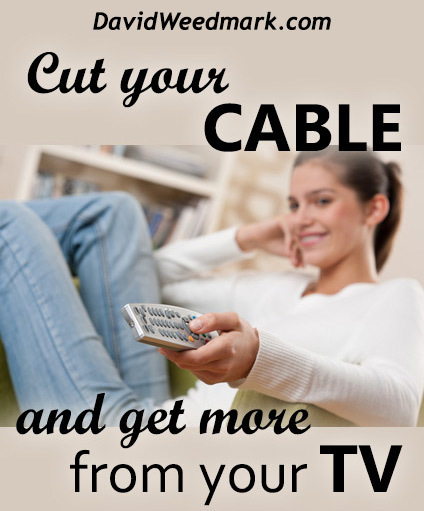 If you already have that, cutting out cable will save you money. Where I live, I can get fast fiber internet with unlimited bandwidth for about $100 each month.